It's not unusual during the spring and summer to see Sunday morning worship services being held in the park. Worship tends to come naturally in the peaceful surroundings and morning sunshine. The sun wasn't very accommodating this Sunday morning, with a lot of clouds left over from our unseasonable rainstorms last week. 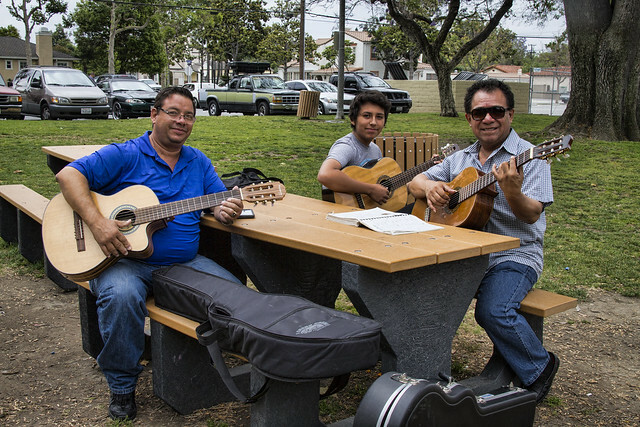 But these three, Carlos, Carlos, and Jose (from left to right), were practicing their music anyway.